It’s been a manic few weeks but a beautifully Austen-centric time! 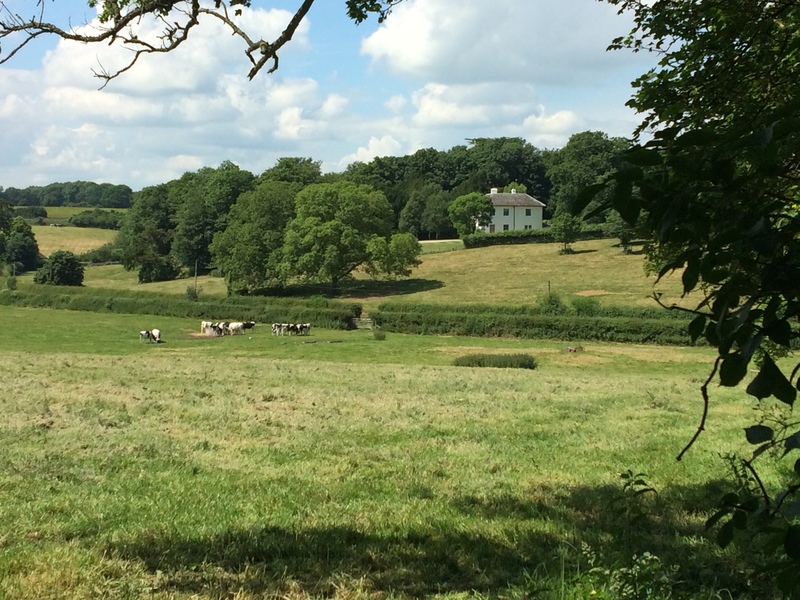 I spent the latter half of June back in England, my main purpose being to attend the annual Jane Austen Regency Week in Alton and Chawton in Hampshire. There will be more on this in the coming weeks, but for now, I want to share with you a very special experience from my trip – staying in one of Jane Austen’s former homes! 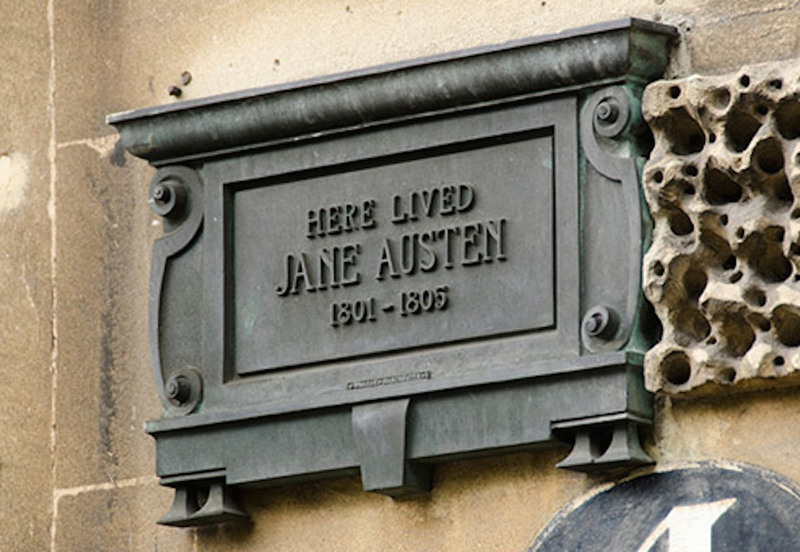 There are three places where Jane Austen lived for a reasonable amount of time: Steventon Rectory in Hampshire where she was born and spent the first 25 years of her life; 4 Sydney Place, Bath where she lived for around 4 years; and Chawton Cottage, Hampshire, where she spent most of the remaining 8 years of her life. The Steventon Rectory known and loved by Jane Austen is long gone, demolished a few years after her death. All that remains is a large grassy field, a bed of nettles indicating the location of the well serving the house and the grassy slope down which Jane is said to have rolled as a child! It is a beautiful, peaceful place, and it is easy to imagine the scenery has changed little since the Austens lived there. You cannot, however, clamber over the hedge and pitch a tent on the spot where the house used to be and therefore claim to be sleeping where once Jane slept! 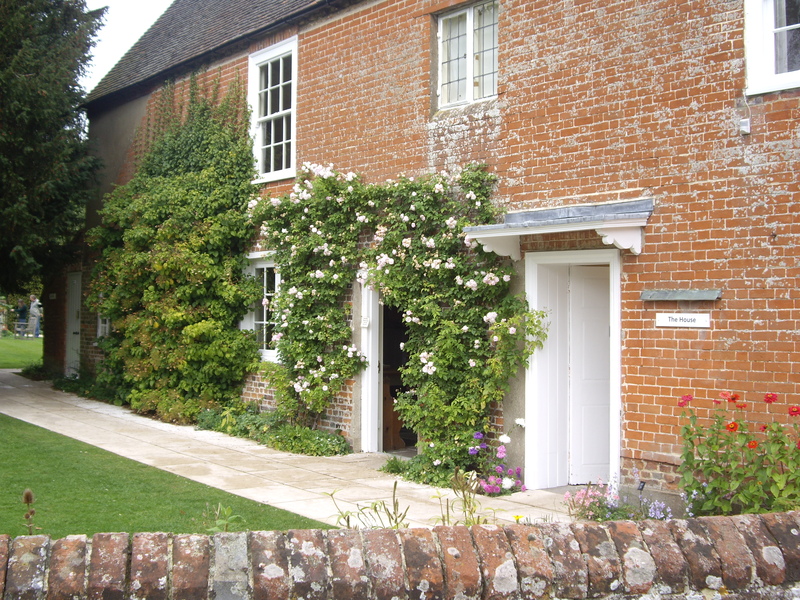 Chawton Cottage is now the Jane Austen House Museum, a beautifully preserved home and garden and nothing like a ‘museum’ in the true sense of the word. It is a welcoming place and when you visit you long to linger, whether in the charming rooms where Jane is all around you or in the pretty cottage garden where roses ramble over the old walls and you can easily imagine yourself back in the early 19th century. Despite the friendliness of the staff, however, I doubt you would be invited to spend the night there! What, then, is a true fan of Jane Austen to do if one wishes to actually stay in a place where Jane once rested her head? Well, her main Bath residence is still standing, not a museum but a beautifully renovated house in this elegant city. Managed by Bath Boutique Stays, 4 Sydney Place can be rented as a holiday let either as an entire house for larger parties or as separate apartments. There are four one-bedroom apartments, one on each floor, and I was lucky enough to spend a couple of nights in one of them! 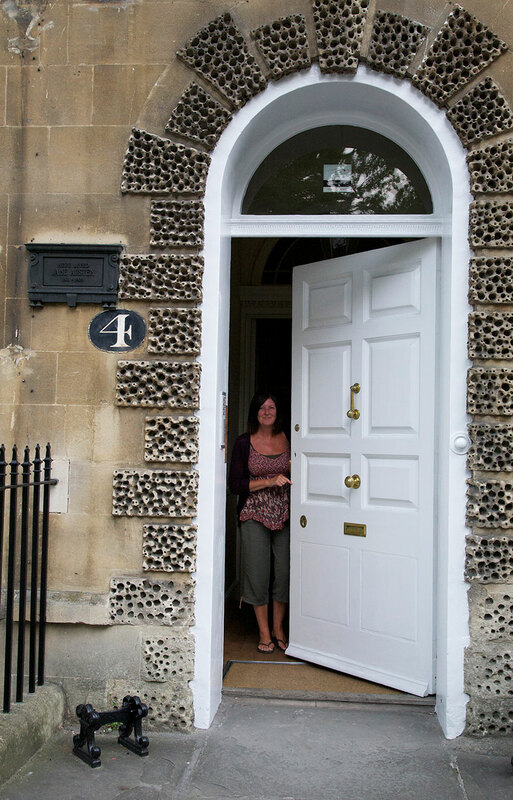 Like many a Jane Austen fan on a trip to Bath, I have stood outside the door of No 4 Sydney Place to have my photo taken, smiling beneath the wall plaque declaring it as Jane Austen’s home. 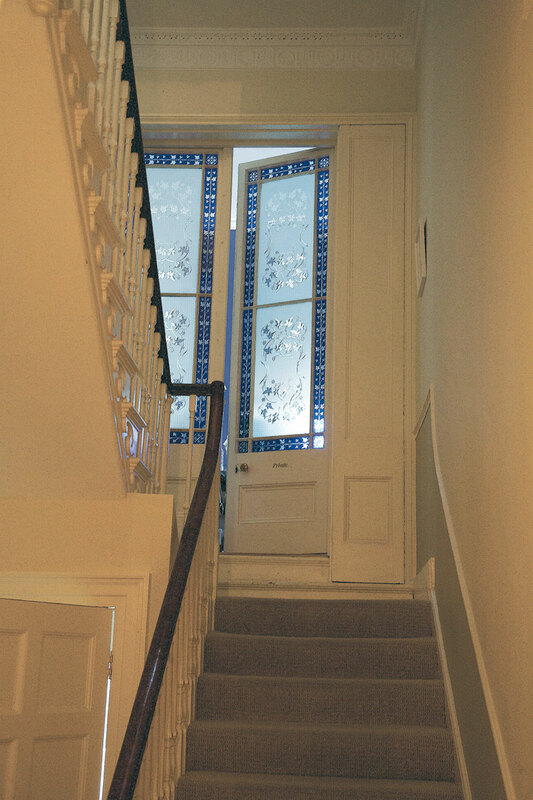 Never did I think I would ever cross the threshold, nor that I would spend two wonderful days and nights imagining the Austen family beside me in the front parlour, or out in the garden tending their plants and crops – for I am sure they would have had a small kitchen garden there. Don’t miss this wonderful opportunity if you are ever in Bath – I highly recommend it! I am delighted to announce the final chapter of Lizzy Bennet’s Diary was posted on Sunday and can be found here. I would like to thank everyone who supported me during this ten-week story posting by commenting on the chapters and sharing and Tweeting the links every week. We recently held a big Fund Raiser over at Austen Variations and managed to raise around £1,500 for the Jane Austen House Museum in Chawton! The list of winners can be found here, and we hope to run a further fund-raiser in a few months’ time, so do keep an eye out. There are always some fabulous prizes available in exchange for a donation to an Austen-related good cause! That’s it for today, but I will be back shortly to share my experiences at the Regency Week, where the fun included a Regency supper with dancing, a fabulous and entertaining session presented by Professor John Mullan, noted Austen scholar and presenter, a wonderful tour of locations associated with Jane Austen throughout Hampshire, including a detailed tour of Chawton Great House and author Abigail Reynolds and myself being interviewed live on local BBC Radio! This entry was posted in Uncategorized and tagged Bath, Jane Austen, Jane Austen Regency Week. Bookmark the permalink. 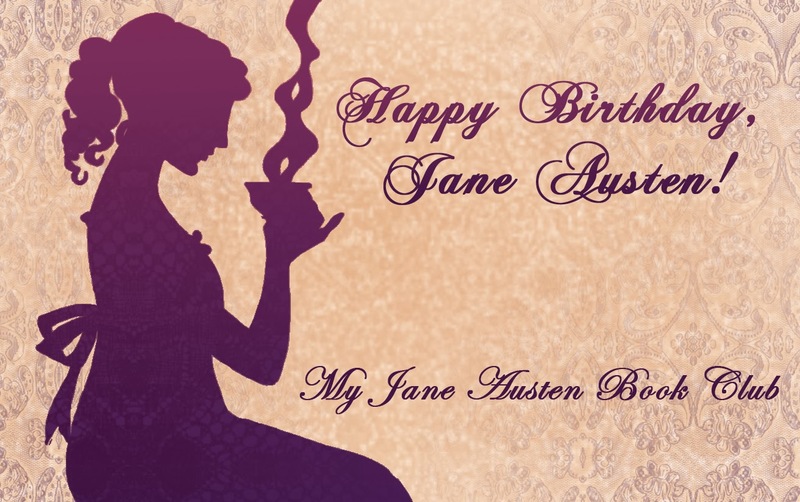 9 Responses to Stalking Jane Austen – Part One! We did travel to Great Britain once 2004, for our 35th Anniversary, and made a special train ride to Bath as I wanted to visit her museum there…along with Roman Baths, etc. I have a photo of me standing in front with her statue there. Enjoyed reading your post here. Thanks, Sheila! I am glad you got to Bath! I think the Roman Baths museum is excellent! Now I’ve read this, Cassandra, I’m even more envious of your trip than I was before! I shall tell you all about it next week, Anji! Sounds wonderful! As I was reading this, my husband walked by and I said we had to go to Bath, England. He asked ‘why’ and I said so we could stay in a house Jane lived in. He laughed but if we ever get to Bath some day, he would surely indulge me! So….was there any ‘Jane’ channeling through you while you stayed there? That certainly sounds intriguing! Can’t wait to hear all about it! Oh wow I cannot believe you stayed in the house in bath ( Okay I can, I do believe you lol ) Oh what a delightful post I have long wanted to stay in the room that Jane supposedly stayed in at the Rutland arms in Bakewell I am determined to make it come to fruition but now Bath is on my hit list! Thanks Cassandra for a great post. Yes, do go and stay there, Tamara! It’s been beautifully renovated but honestly, just stepping through that doorway was a goosebumps moment in my life!